elected officials, manufacturers, and others in the construction industry. and services for all concerned with safety and performance in the built environment. safe, sustainable, affordable, and resilient structures. Building Officials, and Southern Building Code Congress International). of Columbia have adopted the I-Codes at the state or jurisdictional level. larger scale—statewide, regionally, nationally, or internationally. adopt and implement the codes belongs to federal, state, and local authorities. the private sector and regulatory needs. changes are submitted by any interested person. changes are posted prior to a public hearing. is no cost to attend or participate. The hearings are available on webcast. action hearing results are posted prior to the public comment hearing. objections to the results of the public hearing. comments are posted for consideration. editions of the codes are published every 3 years. from a computer or tablet, regardless of the voter’s location. primary application of a building code is to regulate new construction. technology, and safety practices can be incorporated into the codes. basis, and ensure installations are done in a way that is safe and effective. insulated panels, insulated concrete forms, and low-VOC insulation materials. insulation industry, driving both demand and innovation. and firestopping requirements continue to evolve. baseline, such as LEED, for cutting-edge applications of green building design. guidelines, commentaries, handbooks, study companions, and more. of risk society is willing to bear.? installation, testing, and design standards. manufactured product and establish quality requirements. design procedures, engineering formulas, and calculation methods. 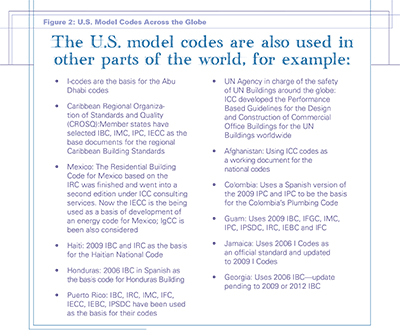 responders is included in the scope of the model codes. installers and builders have access to the information needed to install. ensure the codes reflect and meet the needs of the insulation industry. level for the adoption of current codes. drafting, blueprint reading, science, and mathematics. pertaining to a specific trade: building, electrical, plumbing, or HVAC. better paying, higher responsibility jobs. and play are safe for all to enjoy.